Buying real estate in Hawaii can be a life changing experience, but so can losing such great property. That is why a title company is required to make sure that the seller of the property actually has the ownership rights that they are claiming to have. Hawaiian property rights can sometimes be a little confusing. At times other parties such as government agencies, mortgage lenders, or private contractors could have rights to the owner’s property because of outstanding claims. That is why it is important to acquire title insurance to determine who the actual owner of the property is. Hawaiian title insurance policy allows the buyer to have information on the title of the land before any purchase is made. It also protects the buyer against claims that may affect the title after they are the new legal owner. During escrow public records are searched to find all related documents to the property being conveyed. The documents will be examined and a preliminary title report is issued. The report will provide all information to all parties involved in the transaction, and it will reveal who the actual current owner is. It should also show any limitations on the owner’s property rights such as easements and outstanding mortgages. This will allow the buyer and lender to be aware of all limitations that must be removed to keep the property from suffering after escrow closes. 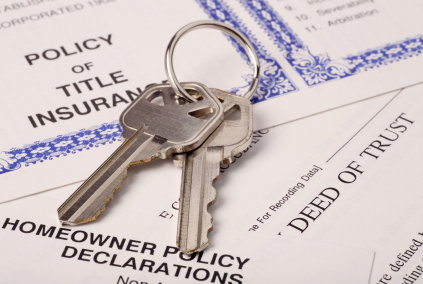 Title insurance is necessary because even the most careful of searches may not notice some title flaws such as forgery, fraud, or confusion due to similar names. If these problems arise after the buyer is the owner, it could affect them drastically. Hawaiian title policy provides protections against any future claims that may come up after the transaction has been completed. Policy terms and conditions determine the extent of coverage provided to the insured. The policy restates the condition of title, reflecting all changes in ownership rights from the date of the preliminary title report to the date of the close of escrow. Separate policies are issued to protect the owner’s and the lender’s interests. The owner’s protection continues for as long as they own the insured interest, without any additional fee. Title insurance is available to obtain for anything that is involved with real estate in Hawaii including leaseholds and rights under contract of sale and easements. Any property being purchased in Hawaii requires title insurance for the following reasons. First, a deed does not provide that the seller is the actual owner of the Hawaii property. Second, Hawaii title insurance provides the buyer with the information on the title status of the property. This allows any problems to be corrected before purchase of the property is complete. The third reason is that title insurance covers losses resulting from defects in titles. A few of these include: forgery, acts of persons of unsound mind, acts of minors, undisclosed heirs, mistaken legal interpretation, errors in research or clerical work, invalid court proceedings, and invalid conveyance documentation. Fourth, title insurance is paying ahead of time for legal service in case it is needed. The underwriter will provide legal defenses against challenges to the insured title. It is like having car or health insurance where the extent of the defense depends on the policy coverage as well as the estimated cost of a possible settlement. Fifth, any unpaid taxes, liens from contractors, or personal judgments would be disclosed and protected against through a new title search and owner’s policy. The sixth reason is that this type of insurance only requires one premium to keep the owner fully protected for as long as they are the owner, and last because even the most thorough searches sometimes do not reveal defects that could affect the new owner down the road.